Blessed are the peace-makers: for they shall be called the children of God. Blessed are ye, when men shall revile you, and persecute you, and shall say all manner of evil against you falsely, for my sake . . . But I say unto you, That ye resist not evil: but whosoever shall smite thee on they right cheek, turn to him the other also. Ye have heard that it hath been said, Thou shalt love they neighbour, and hate thine enemy. That ye may be children of your Father which is in heaven: for he maketh his sun to rise on the evil and on the good, and sendeth rain on the just and on the unjust. Most of us participate in a culture whose judicial system is based upon the Old Testament, the so-called “mosaic law” of “an eye for an eye and tooth for a tooth.” We have come to believe that justice cannot be served, nor further crime diverted, unless human wrong is opposed by human punishment, injury by injury, murder by murder. Our age is one in which violence on a vast scale is a sanctioned means of conflict resolution in the name of national security and national defense. Our most popular forms of entertainment often involve brutal depictions of the use of violence in the name of so-called “just” and unjust causes. The world of business and economics, instead of being an arena of mutual service in the pursuit of livelihood, is to a large degree, a cut-throat competition, where each one is set against the other in the aim to secure and protect one’s personal financial welfare often through the exploitation of another’s resources and labor. It is not surprising then, that when confronted with clear and beautiful moral sentiments, such as the famed Sermon on the Mount, regarding our proper relationship and attitude toward our fellow man, especially those who have harmed or threatened us in some way, we are inclined to disregard such teachings as “impractical idealism”. We see them as applicable for an elite few, but not really for us, not for our post-industrial age, our special circumstances, the challenges and realities of modern life. That which we now refer to as “The Gospel of St. Matthew” is not a translation from the true original Hebrew manuscript. 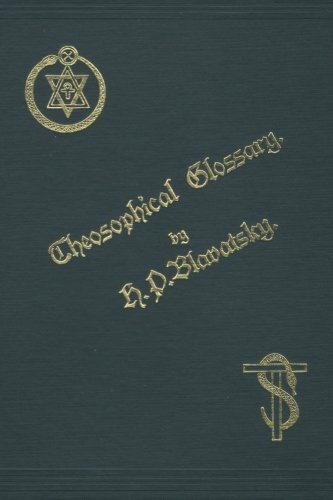 Rather, as H. P. Blavatsky points out, the actual text was an arcane or secret teaching written by a true disciple and companion of the man called Jesus, which was not meant to be openly written or taught, except to the initiated. Many scholars acknowledge that because the true gospel was not properly understood or approved of by the orthodox Christian scholars of the early Church, a different Greek text was substituted. That which we now know as the four Gospels of the Christian Bible, are only four of the hundreds of gospels that were circulating even as late as the fourth century, which were selected, remodeled and revised by the early church fathers and which now “abound with omissions, interpolations and premeditated perversions” of the true teaching. It is also historically documented and widely known that Christianity as a religious institution has often found reasons to justify the use of violence and even persecution to maintain its position of authority and influence and as a means of securing adherence to the faith. Even today, many who call themselves orthodox Christians typically see no conflict between their devotion to biblical teachings and their support of other political and social institutions which maintain themselves through violence in one form or another. Nonetheless, the moral injunctions we find in this chapter 5 of Matthew, which is nearly repeated in the gospel of St. Luke, have an appeal and a validity that tends to transcend the questions we might raise regarding origin, authorship or use. These phrases attributed to Jesus, not only speak deeply to the heart and to the intuition, but express fundamental principles repeated by other great moral and spiritual reformers who preceded Jesus and which can be found, articulated in various ways in many spiritual traditions. Perhaps then, we are touching upon a moral ideal meant for all men, for all times and all places. Perhaps it is exactly those diseases which we so clearly suffer from today, diseases such as selfishness, envy, judgmentalism, retaliation and materialism which the wise have come from age to age to reform and to help us heal. In addition, we have the validation and blessing of knowing recent public figures who were exemplars of this teaching. Men like M. K. Gandhi and Martin Luther King, men who believed, lived, trusted and demonstrated that the law of non-resistance, of non-violence and love, did not mean passivity and indifference to evil, but was compatible with confrontation and protest in some of the most challenging of arenas of public life, where the stakes were high, where peoples lives and the fate of nations were in the balance. The Sermon on the Mount is what Leo Tolstoy called “the true Christian catechism of non-resistance” and was made the central theme of his book The Kingdom of God is Within You. In it, Tolstoy presents with unusual clarity and conviction, what he sees as the eternal law inscribed in the heart and conscience of all men. Not only Jesus, but each man is the Son of God, he says, “as much God as the Father himself, though confined in an animal husk.” This divine spark within, whose chief characteristic and essential faculty is love, demands the ever-widening extension of the sphere of love. The injunction of non-resistance to evil follows from this basic premise. It alone allows of the possibility of eradicating evil (defined as anger, hatred and selfishness) from one’s own heart, and also from one’s neighbors. For Tolstoy, non-resistance to evil certainly does not mean we should not offer other forms of loving protest. In fact, there is much one ought to oppose by every righteous means in our power. A true Christian he says, cannot pay taxes, or give monetary aid to a government whose authority rests upon military force, capital punishment and violence in general. He cannot take part in any war or in any preparations for war. He cannot claim ownership to property, if that ownership is maintained by the threat of violent force or imprisonment. He cannot in right conscience follow the dictates of any secular or religious authority which implicitly or explicitly sanctions in any way the spilling of blood, the maiming or killing of men for whatever reason. According to Tolstoy, if even a few men were to practice the true Christian ideal, they would set an example which in time would influence others in the same direction. If a “moderately large minority” acted in this way they would eventually exercise such a salutary moral influence on society that every cruel punishment would be abolished. Violence, crime and conflict would be replaced by peace, mutual co-operation, tolerance and love. For Tolstoy, the awakening to and exercise of the Kingdom of God “which lies within each man” would thus eventually bring about the reign of the Kingdom of Heaven on earth. Published in 1894, this work of Tolstoy’s was immediately banned in his native Russia as being dangerous to both church and state. Yet, an English translation published that same year in New York found its way into the hands of a timid, young barrister in India and convinced him that the core of the Christian gospels was not at all different from the ahimsa or harmlessness taught in the sacred literature of Hinduism and Jainism. For Gandhi non-violence was the aim and end of all religions; “the law of our species,” “the true sustenance of the soul” and infinitely greater than and superior to all other forces. In Gandhi’s elaboration of the concept, ahimsa had both a maximal and a minimal meaning. It its wider sense it is identical with divine love, a willingness to treat all being as one’s very self, a lofty spiritual ideal repeatedly stressed in the Bhagavad Gita, requiring tremendous courage, patience, non-attachment and self-sacrifice. One had to be prepared, he said, to part with everything in the world except one’s honor. “It is soul-force or the power of the God-head within us.” In its narrower meaning it is the primary and minimal demand of human morality capable of immediate and daily application, justified in terms of the Golden Rule. It is based on the simple belief in the sanctity and unity of all life, and the identity of the interests of all men by virtue of their common dignity and moral interdependence. Like Tolstoy’s non-resistance, true ahimsa is capable of converting rather than coercing the wrong-doer, however slightly and slowly, and it is also capable of producing in its user a “second birth or conversion.” It is therefore important not just as a desirable virtue, a means for the purification and ennobling of the soul but as the fundamental way in which we can express our respect for the innate worth of any human being. Could it be that Gandhi was right? That here we have another root teaching, a moral imperative taught by every enlightened messenger that has walked among us? A teaching nonetheless ignored, rationalized out of its meaning, untenable to us who suffer from the fundamental illusion of separateness, who cling to worldly ambitions, pride, egotism and lust for life. Could it be that the Sermon on the Mount is at least in part, an authentic fragment of the teaching of the man called Jesus. Whose real name was Joshua Ben Pandira, says H. P. Blavatsky, a great teacher and philosopher, “a wise Galilean initiate and adept” who presented the old wisdom-religion and its sublime code of ethics in a new garb? Could it be that this injunction to “turn the other cheek,” to respond to abuse and injury with nothing but love and harmlessness, is not simply a call to courageous non-retaliation, but is a prerequisite for the cultivation of true wisdom and insight? How shall we be able to aid in the unraveling of the karmic propensities which bind all men to their ignorance and suffering if we ourselves respond to the results of that ignorance with anger, hate and the desire for vengeance? How shall we fit ourselves to be lights unto the world, true children of our Father in Heaven, the Higher Self in each and all, unless we honor the presence and preciousness of that same divinity in all others without distinction?